(Toronto, Canada) Today Channel Zero revealed details of a significant programming deal that’s been in the works with FOX Studios for some time. The acquisition of a stellar line-up of first-run exclusive broadcast movie premieres, which will air on CHCH Ontario and Métro14 Montréal starting this Fall. New Primetime Dramas • Respected Investigative Series • Box Office Hits • Best of Late Night PLUS … we’re gearing up for the Television Event of the Year! **All times ET** Programming Subject To Change. CHCH is home to great movies every night, with an exclusive first-run Sunday Blockbuster each week. Debut titles for Fall 2011 include Crazy Heart, Taken and X-Men Origins: Wolverine. A primetime news magazine program featuring co-anchors Elizabeth Vargas and Chris Cuomo. 20/20 combines hard-hitting investigative reports, newsmaker interviews and compelling human interest and feature stories. Television’s most popular true-crime series, 48 Hours Mystery investigates shocking cases and compelling reallife dramas with journalistic integrity and cutting-edge style. The most successful television newsmagazine in history offers hard-hitting investigative reports, interviews, feature segments and profiles of people in the news. Our favorite secret agent is back in the one-hour action-comedy series in its fifth and final season. Chuck Bartowski returns as a regular guy who also happens to be the government’s most vital secret agent. Bilson plays Zoe, a doctor from the Big Apple adjusting to life and romance in a small Southern town after she inherits a local medical practice. Looking for your gossip fix? Hosts Brooke Anderson and Kevin Frazier will take you inside the entertainment world and deliver a daily double dose of celebrity, pop culture and gossip, from an insider perspective. Jimmy Kimmel hosts a late night talk show with a variety of celebrity, news-making guests and live musical acts. Features the NBA’s marquee match-up of the week. Premieres Christmas Day. A nightly discussion of current newsworthy events. Nightline provides a mix of investigative journalism and extended interviews. novels written by L.J. Smith. Mark Hebscher and Clint ‘Bubba’ O’Neil team up to give fans an unfiltered take on sports. Sportsline is provocative, no-holds barred, irreverent, tell-it-like-it-is, and in your face! Mark Hebscher and special guest co-stars square-off to discuss the hot-button issues. Returning for its seventh season, this haunting series follows Sam and Dean Winchester, two brothers bound by tragedy and blood to the one thing that runs through both their veins – hunting monsters. CHCH started broadcasting in 1954 and is proud to be the news leader for Hamilton and the surrounding Halton and Niagara regions. CHCH produces more original news programming than any other local television station in North America. 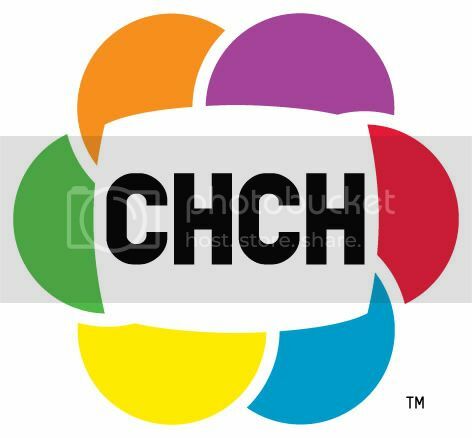 With a primetime line-up anchored by movies, news magazine shows, and hit dramas, CHCH is available to over 92% of Ontario households and is viewed by millions nationally each week. Métro14 Montréal (CJNT) offers top-rated American news magazine shows and hit dramas in prime-time, plus a wide selection of music videos and foreign films. It reaches over 1 million households in the greater Montréal area, with an audience mix of both English and French viewers and various cultural groups. The station is available in the greater Montréal area on Videotron’s analog and digital cable 14, across the country on BellTV on channel 207, and in Ontario on Rogers digital cable 122. Established in 2000, Channel Zero Inc. is an independent Canadian broadcaster that owns two specialty channels, Movieola—The Short Film Channel and Silver Screen Classics, and two over the air channels, CHCH in Hamilton and Métro14 in Montréal (CJNT). In 2006 Channel Zero started Ouat Media – a Toronto-based company that specializes in the worldwide distribution of award-winning short and feature films.